page 162 -- O.F. Heath, "Furniture Dealer and Undertaker"
One of the most beautiful cards in the Earl J. Arnold Advertising Card Collection hails from one of the smallest communities in New York State. Furniture & undertaking & picture frames & carpets, etc., O.F. Heath was involved in several trades. 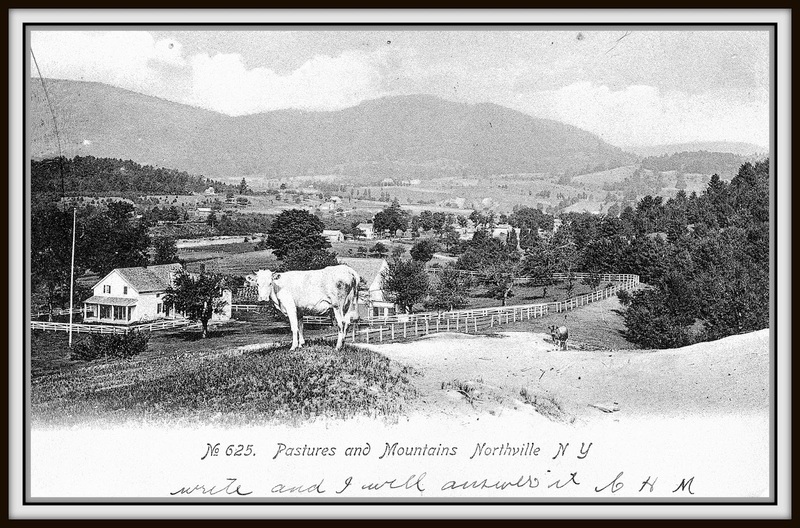 Northville, the small village with a grand reputation, has a Wikipedia page of its own. The two buildings on the right also appear on the postcard below the video. The building on the right, originally O.F. Heath, 1880's (see enlargement below) as of this early 1900's postcard in the Diver collection houses Garrets Undertaker & Furniture. While this combination of activities most likely would not be carried out in the same storefront today, furniture manufacturers in the 19th century made caskets as well as chairs, etc. "The Brick Block" above, former home of O.F. Heath, was eventually replaced by a fire station. 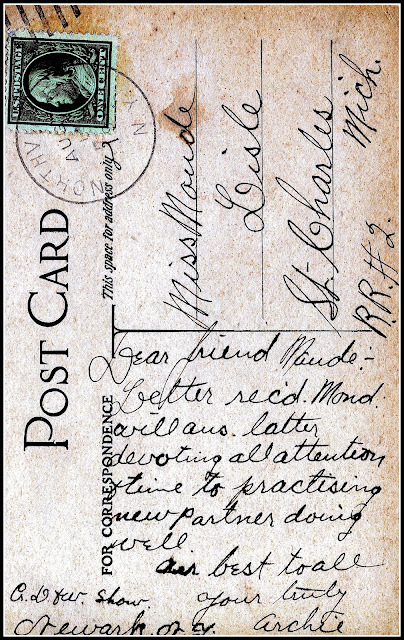 Sometimes the back of these old postcards have messages. This one hints at an activity, but what is it? Is Archie a dancer? Minor tweaks in Picasa bring forth the outstanding colors in this card. A beautiful card from a beautiful village! Northville has preserved a number of its historic structures. 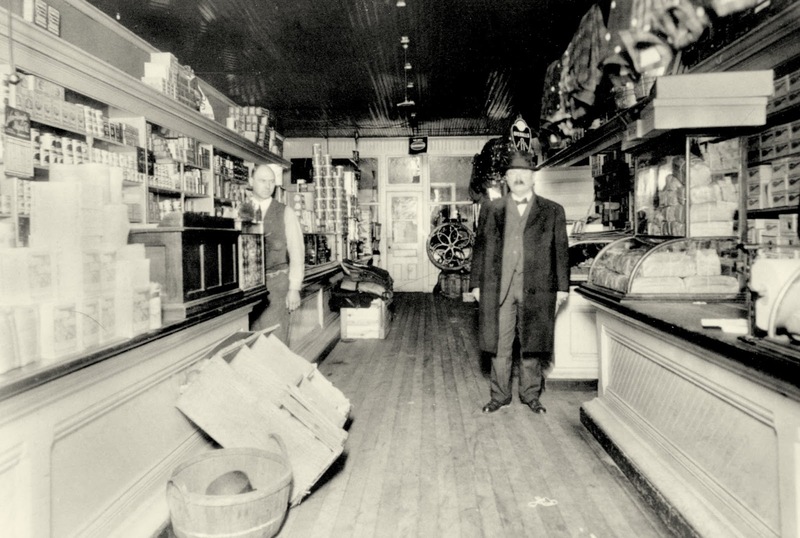 Below is an interior shot of Willard's General Store in Northville. 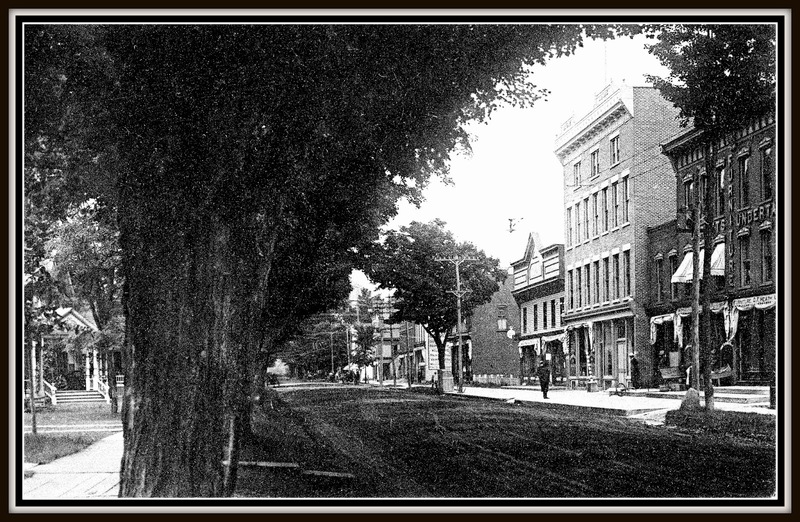 According to "Northampton, Times Past, Times Present" by Charlotte D Russell, 1976, and quoted on Rootsweb, "Reuben Willard built the 3 story brick faced structure on the corner of Main & Water Streets in 1888 as a general store. His son James R Willard later took over, followed by Fred Farhart with a Fruit Market, and in 1916 by William R Smith with a fruit, vegetable, confection & ice cream business. Smith sold out in 1930 to Dake Ice Cream Company." As you can see from the topographic map (USGS 1900) below, Northville was served via Sacandaga Park by a branch of the Fonda Johnstown and Gloversville railroad. The railroad and much of Sacandaga Park were swallowed by the creation of Great Sacandaga Lake in 1930. From YouTube, "At the Railyard:"
"Published on Aug 19, 2012...when the sewing machine came into popularity in the middle of the 19th century, it caused a boom in textile production. 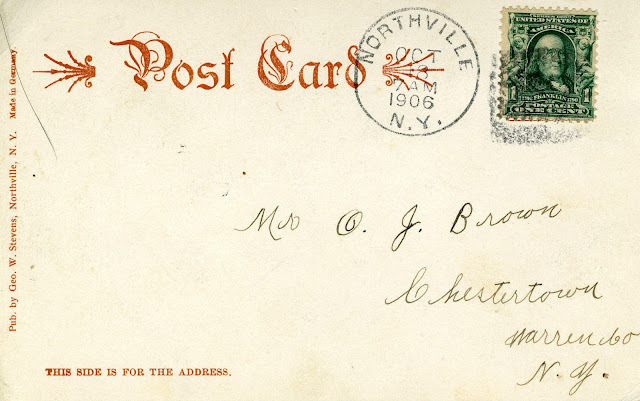 In Gloversville, New York, the main product of the textile industries was fine leather gloves. 20 years later, there were 116 glove and mitten manufacturers, and the Fonda Johnstown & Gloversville Railroad was constructed to haul their products out to market. What would it be like to experience the railroad 80 years later, in a simulator? We'll find out in this review...at the railyard!" "Using Google Maps to Explore Railroad Track Routes"
"Published on Mar 31, 2012http://mrhmag.com - Google Maps makes a fabulous research tool to use when studying prototype railroad track routing. In this video companion to the April 2012 issue of Model Railroad Hobbyist, we show how to follow the railroad tracks of the old Nevada-California-Oregon branch of the defunct Western Pacific Railroad (now the Union Pacific Railroad)." "Prospecting with historical topographic maps"
of what things looked like before and after Great Sacandaga Lake filled. ICE OUT! 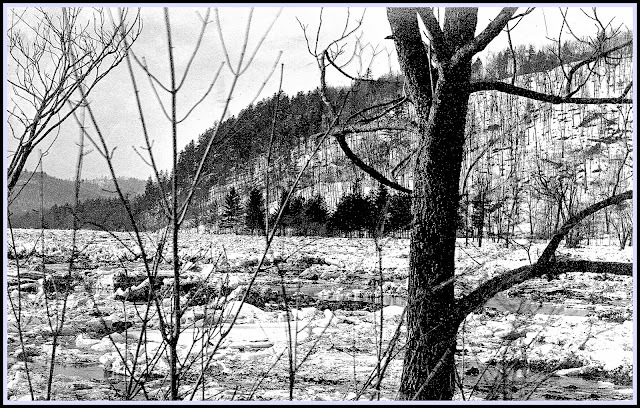 Published by George W. Stevens of Northville, NY very early in the 20th century, the postcard below shows typical spring conditions in northeast US streams and lakes when winter's ice thaws.